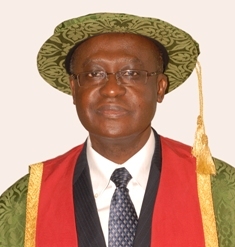 Peter Donkor, MD MPH is a Professor of Oral and Maxillofacial Surgery at the Kwame Nkrumah University of science and Technology in Kumasi, Ghana and is also Pro Vice-Chancellor. He has earned degrees, fellowships, and diplomas from six different colleges, taught at the University of Sydney and the University of Birmingham, and served on numerous advisory boards throughout his productive career. Ghana, an African country of 25 million inhabitants is located 80 north of the Equator and 20 west of the Prime Meridian. This uniquely places it closest to the center of the earth, with her citizens being among the friendliest in the world. Other unique features about Ghana include the hand woven kente cloth; the Volta Lake (a large man-made lake); “red-red”, a favorite local dish; open drains, and mini-buses inscribed with social, religious and political messages. The buses which are mostly used are “home second-hand” imports from Europe, and form the backbone of the public transportation system that includes vehicles that have been written off in their countries of origin either after an accident or because they are unserviceable. These buses often also serve as ambulances for the transport of the seriously ill or injured to health facilities. Mechanics in Ghana have developed skills for restoring “dead” vehicles regardless of their state. Thus rusty old vehicles get patched up and rendered “roadworthy”. A Mercedes Benz car with a failed engine may get refitted with a used but functional Toyota engine, while the rusty frame of a Mazda vehicle may be replaced with a newer Nissan one. In the same manner that imported used clothing keeps the not-so-well-off in Ghana decently attired, imported used vehicle tires keep vehicles moving on the very poor road network across the length and breadth of the country. Like many developing countries, injuries from road crashes contribute disproportionately to the burden of disease, and undoubtedly dilapidated vehicles contribute significantly to the problem. Over the past twenty years one NIH/FIC funded research collaboration between the University of Washington (UW) in Seattle and the Kwame Nkrumah University of Science and Technology (KNUST) in Kumasi has focused on injury control. Activities under this collaboration have included driver education in first aid and safe transport of the injured; training of district medical officers in emergency surgical procedures; teaching of undergraduate medical students in trauma; workshops for media practitioners, police, fire personnel, lawyers, judges, parliamentarians, surgeons, social workers, engineers etc. Several Ghanaian graduates have gained MPH degrees in injury research, and faculty exchanges have also taken place. Domestic violence, unintentional injuries such as accidental ingestion of chemicals by children, burns, suicide, and road traffic injuries require the combined efforts of law enforcement agencies, engineers, medical personnel, law makers, policy makers, researchers, and international agencies for effective control. Efforts at controlling this menace in Ghana require a multi-pronged approach and must include a strengthening of the entire health system. In an increasingly globalized world, international collaboration is a sine qua non. The recent Ebola epidemic in West Africa, and the threat it poses to the entire global community is a reminder that unless we collaborate internationally to solve global health problems, we stand the risk of perishing together. Therefore, as we celebrate the successes of the UW/KNUST collaboration, greater efforts are needed for extending the gains to benefit more communities.